There are countless times throughout our lives when we’re presented with a choice to help another soul. What happens then? Jennifer Skiff's new book, Rescuing Ladybugs, highlights the true stories of remarkable people who didn’t look away from seemingly impossible-to-change situations and instead worked to save animals. Leaders in what the author calls the compassion movement, their stories illustrate how we can break the barriers that have collectively caged and separated us to improve all life on earth. This empowering book inspires us to nurture our love for other animals while igniting our purpose and creating personal happiness. This extraordinary book takes you on an around-the-world adventure with superstar animal advocate Jennifer Skiff. 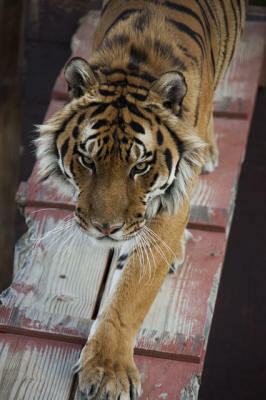 Starting with the moment she connected with a tortured bear in Laos, the story continues with her successful quest to free him by building the first bear sanctuary in that country. The stories in this book are about the people Jennifer has met along the way who — like her — are changing the world for the better one species at a time and the amazing creatures they encounter. This large increase in Antarctic temperatures could be a bellwether for the kind of change many fear will happen to those of us in more temperate regions in decades ahead. 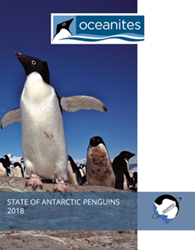 Oceanites, Inc., a Washington DC based non-profit organization which has championed science-based conservation and decision making for more than 20 years, announced the release of its annual State of Antarctic Penguins 2018 report (SOAP 2018). The SOAP report (available at https://Oceanites.org/soap) comprehensively summarizes the population size and trends of Antarctica’s five penguin species — Adélie, chinstrap, emperor, gentoo, and macaroni. The report also spotlights future challenges for Antarctic penguins as they adapt to changing temperatures in the region. The Antarctic penguins total at least 6.1 million breeding pairs nesting at 661 or more sites across the entire Antarctic continent. The report used the most current scientific data, including 3,617 records from 108 sources of on-the-ground colony counts and satellite photo analyses. The SOAP reports assist a wide variety of Antarctic interests: governments, scientists, NGOs, and the private sector, including fishing and tourism operators, as well as concerned citizens throughout the world. Oceanites continues to closely track the notable changes in the Antarctic Peninsula, which has undergone a well-documented period of warming over the last six decades of +2˚ C. / 5˚ F. and in winter of +5˚ C. / 9˚ F. This increase is huge, and could be a bellwether for the kind of change many fear will happen to those of us in more temperate regions in decades ahead. In the Antarctic Peninsula, Oceanites’ Antarctic Site Inventory has noted Adélie and chinstrap penguin declines and gentoo penguin increases. However, there are indications that the warming trend has leveled off in recent years with a concomitant stabilization of some Adélie populations. Oceanites is taking the lead in penguin-focused messaging about climate change, so that all of us, working together, may do a better job steering our planet’s future. For additional information about Oceanites please visit https://www.Oceanites.org.